12 things successful and smart women do before shopping- Shopping Tips! 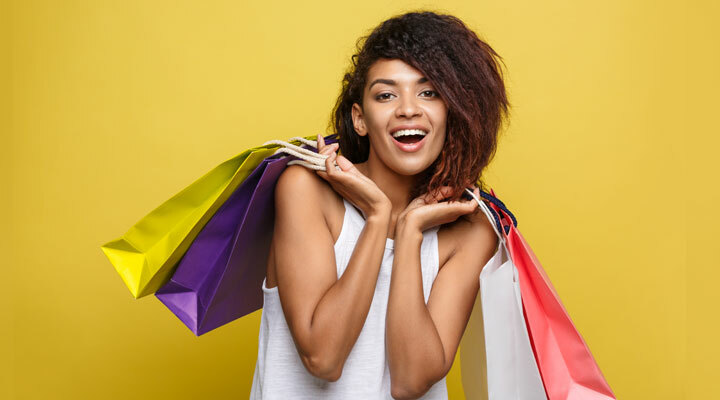 12 Things successful and smart women do before shopping – Shopping Tips! Being a woman is a duty, not only is she a homemaker but a provider. These days there is no arena where a woman does not stand shoulder to shoulder with a man. She earns her bit and spends as she likes it. Men cannot make fun of the woman and their shopping anymore as she is working, earning, and spending. She is now a successful, smart and intelligent shopper. Why do women love shopping? Shopping helps women upgrade their wardrobe. The female fashion world is a competitive one and a constant update is a must! She likes spending time with her girl friends. Most women take this opportunity to group up and spend time with their friends. Go out and take each other opinions and compliments to boost up their morale. Planning and making a list is so much fun. Planning is a major thing smart women do before shopping and women like being organized and in command. It gives them a sense of independence and importance. Shopping helps women look good and feel good. Who does not like new glittery things? That is only possible via shopping. They are concerned about their friends and family. A mother usually would shop for her children and husband as she knows about them. She is familiar with their needs and liking. Shopping is now a career for so many people. There are many professions that require you to shop like a buyer, fashion designer, blogger, etc. Now, a woman should not be a reckless shopper. She should have a shopping routine; both women and men should not have bad shopping habits. There are many things to do before you go shopping. If you want to learn them just follow the list below. It will also help you curb the urge of overspending if you are a shopaholic. They prepare a shopping list. That can also include sub lists. For example, a cosmetic sub-list may include deodorants, lotion, makeup (things you may get in a cosmetic store) whereas a grocery sub list means you need to buy milk, fruits, vegetables, etc. from grocery and gourmet store. There are many apps that you can use on your phone these days to be even smarter. As there is more probability of losing a paper list than your phone. And you can keep on increasing the list as and when you remember. Check out the prices before shopping online or in the mall. There might be offers online or there might be better deals in a store. You can also buy gift vouchers at a discounted rate online and then use it a store. Or you can find some amazing deals or coupons online too. This is one of the most important things, what smart women do before shopping. I think this is a tough decision. Online prices may be less but you have to check if the seller is genuine. Often times buying in the store helps you check on the expiry date of a product, try and feel it too. It is the fastest way. But for better prices and in home delivery online is a better option. Smart women choose cash on delivery while shopping online. Smart woman knows the importance of time and money. They usually finish their office, school or homework and then head out. Otherwise, their mind will be occupied with other tasks as well. Taking care of their chores helps to get a peaceful shopping experience. Successful women, usually check her cash, credit cards, balance, and expiry. They also use a lot of shopping wallets these days to earn cash back or rewards. Many women shop when they have enough rewards they can redeem. A budget check is important here. Women who spend thrift should carry only a certain amount of cash and set a limit on their card so that they don’t overspend. A wise woman would always test a perfume or cosmetics before purchasing. This helps her know whether that cosmetic suits her skin or not. She can order samples or borrow some from her friends or family. A smart shopper will always take her friend who is interested in shopping and understands her friend’s tastes. She should be honest and forthcoming. So, a woman should plan ahead with her shopping partner so they can collaborate together and venture out for a shopping spree. Buying on a good sale is an important factor in saving money but overbuying is also wrong. A smart shopper does not buy everything and anything because there is a sale. Also, it is important to search sales all over. There might be similar brands which have sale whereas the one you are eyeing might not have. A smart woman will always check on what she already has. She is environmentally conscious and does not like wastage. She will check her cabinets for existing things and cut them off her list if she was planning to repurchase them. Until and unless she is planning to spend time with her family and friends in the mall a successful woman will always give time her first priority. She will fix all her appointments, restaurant reservations, and check on whether the shop is open or not. Going at a time when the crowd is less is mostly preferred so as to avoid long waiting lines. And choosing a mall where most of the needed shops are available is also wise. A successful woman always cares about the environment. She carries her own shopping bag made of cloth, jute or paper instead of getting a plastic bag. Especially when she is shopping from street side vendors instead of taking a lot of plastic bags she gets her own. She also takes her water bottle instead of buying a new one and keeps refilling it when and as needed. I think this is very important and sustainable shopping habit. So for her regular shopping routine, a smart woman carries her bag with all her essentials, so that there are no obstacles in her shopping. She carries a deodorant in case she is too sweaty while street shopping, she carries a comb, lip balm, tissues, wipes and most importantly a sanitizer. A woman should never leave for shopping without essential medicines, and I have seen some very intelligent woman carrying a fruit like an apple. Carrying a healthy snack prevents them from snacking on high-calorie food present in the mall or streets. These shopping tips on things to do before you go shopping might help you build a more organized approach towards shopping. It is important to know what successful women do before shopping to save time and money and in turn become a happy shopper. Really helpful tips! As per my point of view, making a list before shopping can be the best option! I often forget something when I go shopping! Thanks for the share! Sounds funny but yes, “Shopping is now a career.” Aside from being a stress reliever for me, I find it like a job going shopping everyday. I really love and do apply some of your 12 shopping tips. And It helps me save a lot. This is a very interesting list. I choose to shop online because there are better deals and because I have two small children at home. Going to the store is not always easy, and you get cash back with credit cards, just don’t spend what you don’t have! I always price hunt even if it means going to another store or waiting a few days for it to come from online. I always, always, always make a list, and I price shop! Making a list before I go is where I fail every time! Such a helpful list of tips. well yes for the intensive research and doing the online vs store price check! I am heavily depending on online shopping though! Great tips, i oftentimes need to be more focused when shopping. Great tips! I usually on make a list for groceries but I would definitely be wise to take inventory of my wardrobe too.